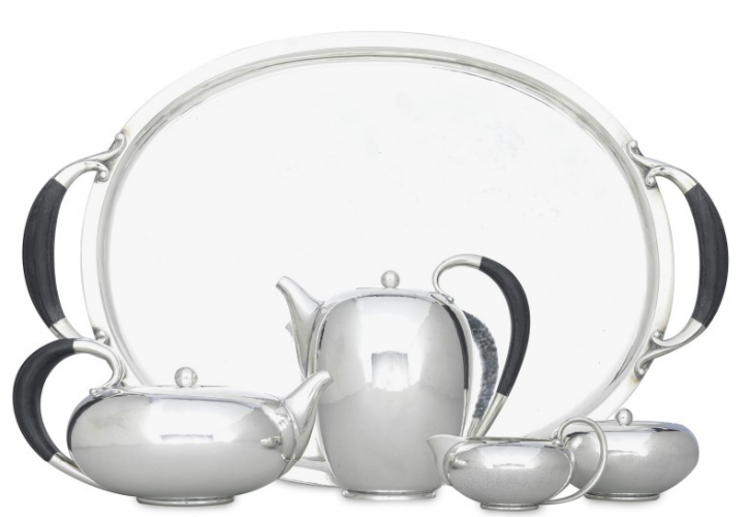 We Love Silver in All Shapes and Sizes! 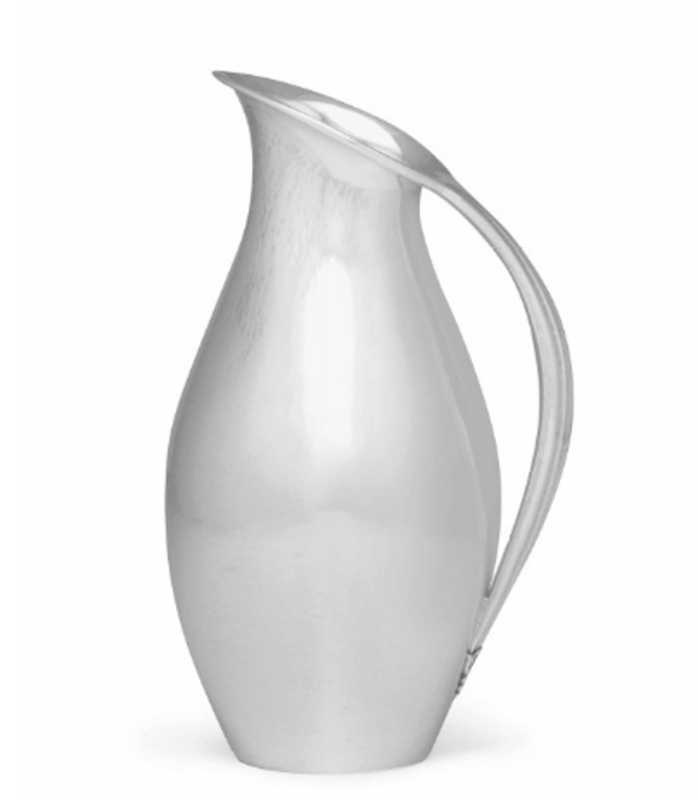 Silver, an ancient precious metal, is as diverse as it is beautiful. Mined from different corners of the globe, it is used in film photography, solar power cells and insulation materials. 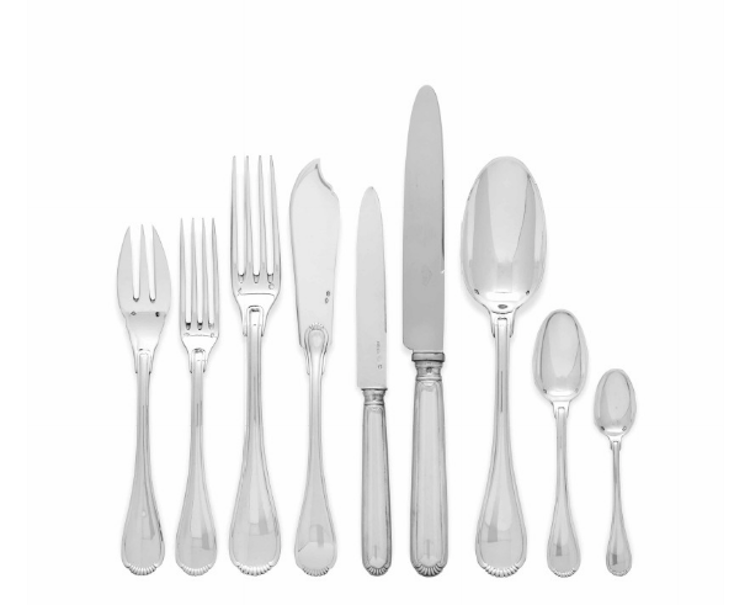 Silver is also used to make coins, jewelry, tableware and décor. 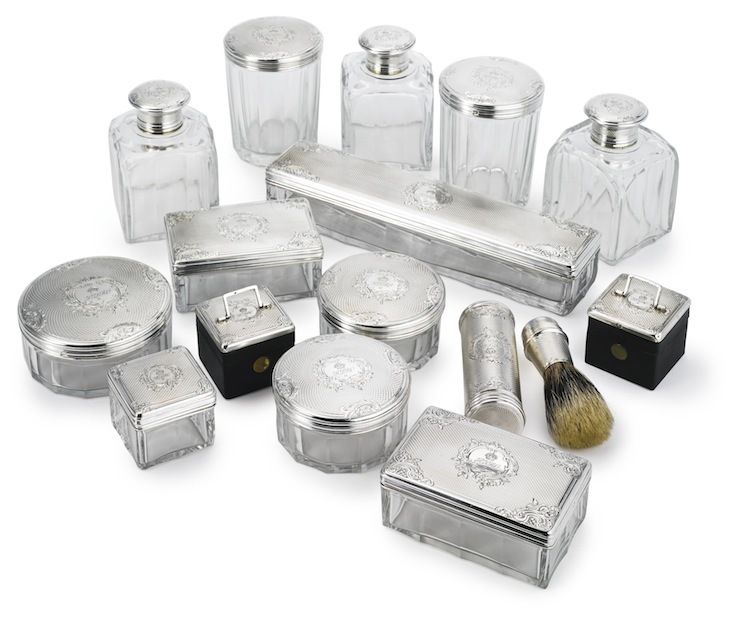 Since it has been around for so long, many silver objects carry with them a rich historical background. 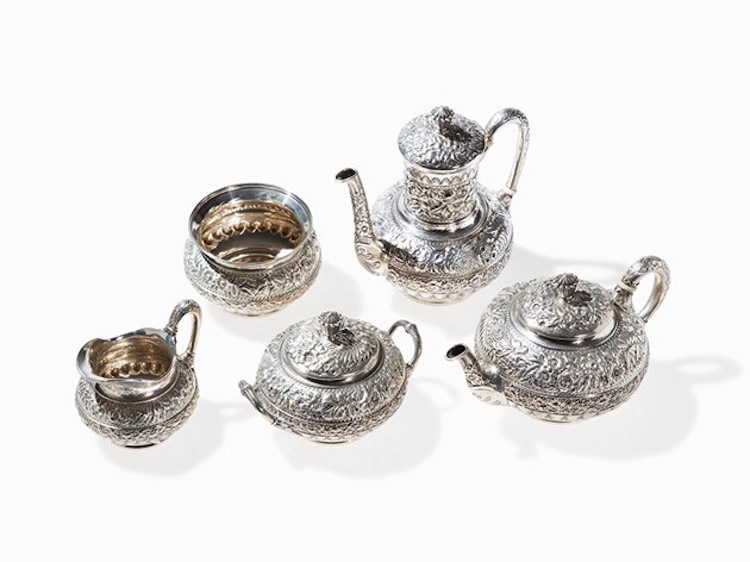 Barnebys has taken a look at the different silver pieces that are currently available for auction and present to you just a small selection of the many, remarkable items. Provenance: All with engine-turned silver lids with a Rococo cartouche engraved PEDRO II under a crown, all in a fitted leather box, the cover mounted with silver foliate monogram ALCB under a crown, stamped Franz Hiesse & Söhne Wien most marked on base of covers with maker's mark, rims with either Minerva head or boar head marks. Provenance: The initials HBR refer to Henry or Hans (in differing accounts) and Rachel Bergen, both b. 1689. Hans was a baker in Brooklyn from 1717-1730. 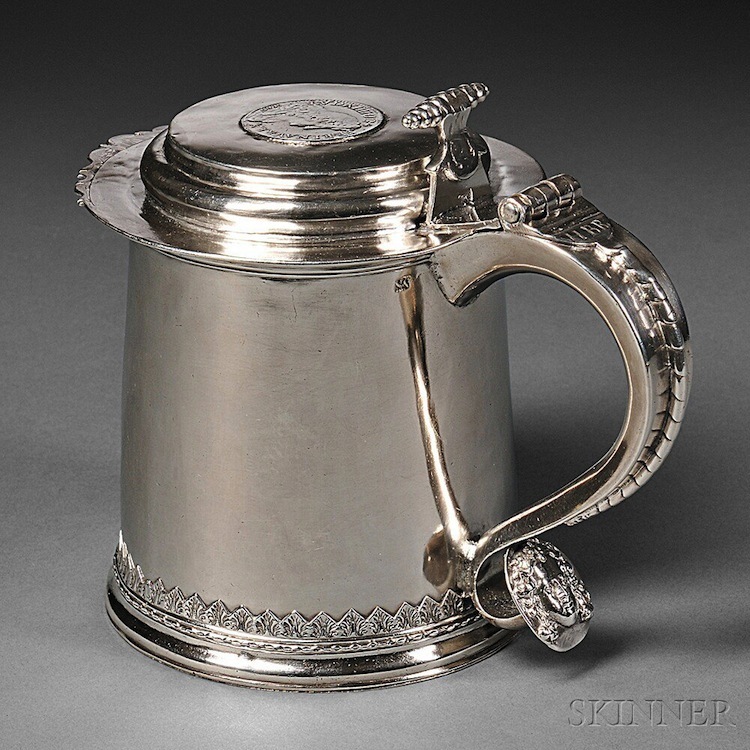 According to an account, "an old family tankard" (probably this one), was engraved about 1720 with the couple's initials. It has since descended in the family to the current owner. Provenance: The inscription reads: ROYAL BOMBAY YACHT CLUB/THE SNARK/REGATTA 1883. Founded in 1846, the Royal Bombay Yacht Club is the oldest sailing club in Asia. 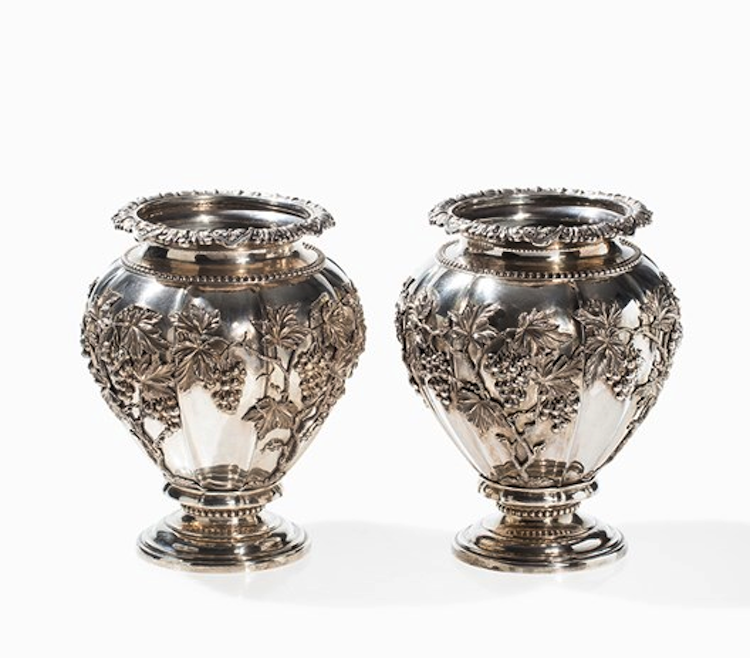 Provenance: This pair of champagne or wine cooler dates to 1849 and was made by the silversmith Gustav Möllenborg, who was active in Stockholm from 1823 to 1850. His work is predominantly characterized by neo-Rococo designs. The bulbous bodies with ribs are raised on round profiled feet and featuring a relief decoration of chased vines and grapes. A finely chased rocaille decoration adorns the everted rims rising above bead and reel borders. 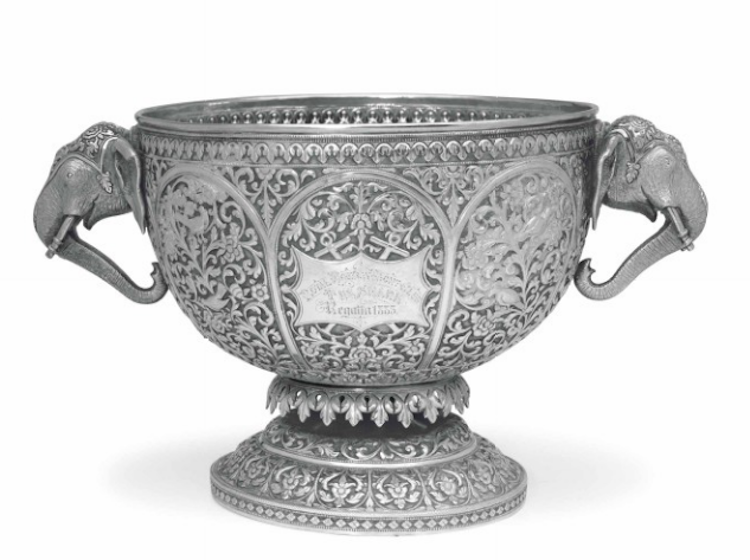 The coolers are each hallmarked on the outside of the foot rim with 'STOCKHOLM', year mark 'T4' (= 1849), three crowns in trefoil (= control mark) called 'Kattfoten' and 'MÖLLENBORG' for Gustav Möllenborg. The inside of the removable rim bears the hallmarks'T4', an indistinct hallmark, 'Kattfoten' and 'G • M'. Find all available silver lots at Barnebys here.